Continuing the expansion tear it’s been on in 2012, Hotel Tonight is beefing up its international offerings. On Tuesday the company plans to announce that it will be available in four new cities in Europe and it is also entering Mexico for the first time. 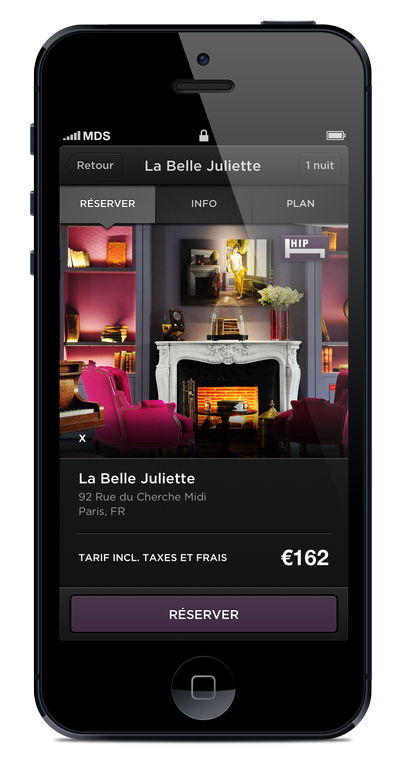 The iOS and Android app for last-minute hotel reservations can now check you in to hotels in Brussels, Paris, Nice, Berlin, Acapulco, Mexico and Mexico City. The company will end the year with a total of 17 international cities, following the additions of hotels in the U.K., Netherlands and Canada earlier this year. The HotelTonight app is now translated, for the first time, into a handful of new languages: French, German, Italian and Spanish. In addition to the other Tuesday announcements, Hotel Tonight is also adding gift certificates for the first time, in $25, $50, $100 and $250 increments. The international expansion of HotelTonight caps off a pretty impressive year for the San Francisco startup, which also saw its first acquisition. In 2012 it has grown from offering hotel rooms in 28 cities to 72. It also grew from just under a million downloads of its apps to 3.7 million, and almost tripled its headcount, which is now at 90 employees. The app only launched on the iPhone in early 2011. “We’ve been successful in the U.S., and the rest of the world should be more amenable to the HotelTonight value proposition. There are a lot more independent hotels,” CEO Sam Shank told me. Plus travelers in other countries generally are allotted more vacation than their U.S. counterparts, so “they have more flexible schedules to be spontaneous,” he noted. It also helps that both iOS and Android — HotelTonight’s only platforms — are the two fastest-growing mobile platforms almost everywhere. Besides the U.S., the U.K., Germany, France and Canada are all in the top 10 countries in the world with the most Android and iOS device activations. Despite the rapidly expanding list of cities, a new office in London, and the acquisition this year, HotelTonight has no plans to slow down in 2013. “We’ll be expanding very aggressively in continental Europe, Mexico and other countries,” Shank said, declining to get specific about its next target. A good guess? It would be rather odd to translate your app into Italian without planning a presence there. Love HotelTonight! I used FANDERSON12 and saved $25 on sign up. We stayed at the shelbourne miami; no problems at all. I’m looking for another getaway any ideas?? However, another model evolved with betandsleep https://betandsleep.com/ which is using mobile and website booking at the same time, while customers get the chance to determine their desired price. Looks like the European last minute hotel booking market is gaining momentum and competition is increasing dramatically with hotel tonight entering the market! Hooray.